Studio Corbelle creates unique jewelry in a proprietary blend of concrete, shaping industrial materials into wearable pieces. Its creators are the designers Olga Apolinarska and Aidan Linsteadt; together they embrace the constraints offered by dedication to a medium of choice to expose the beauty in things carefully engineered. Beauty really is in the eye of the beholder. Uniquely enough, we found beauty in the severe, heavy presence of Brutalist architecture. After architecture school, I just wanted to create new Brutalist structures. However, that's no longer a reality since that style is no longer favored, so we opted to create another option for the cult followers of this movement. We didn't want people to see concrete as an overlooked industrial material, but as something beautifully crafted. So we spent months testing over 100 different formulas of concrete, procuring unique materials, and finishing processes to achieve the perfect balance of strength and smoothness on a small scale. While many are inspired by the organic themes in nature, we're inspired by hard lines and angles of a more urban environment (the habitat of the majority of the earth's population). We believe that concrete's unique properties foster an especially unique creative environment where we are limited by engineering and science. The visual similarities should be immediately clear between the architectural works of Le Corbusier and our jewelry. 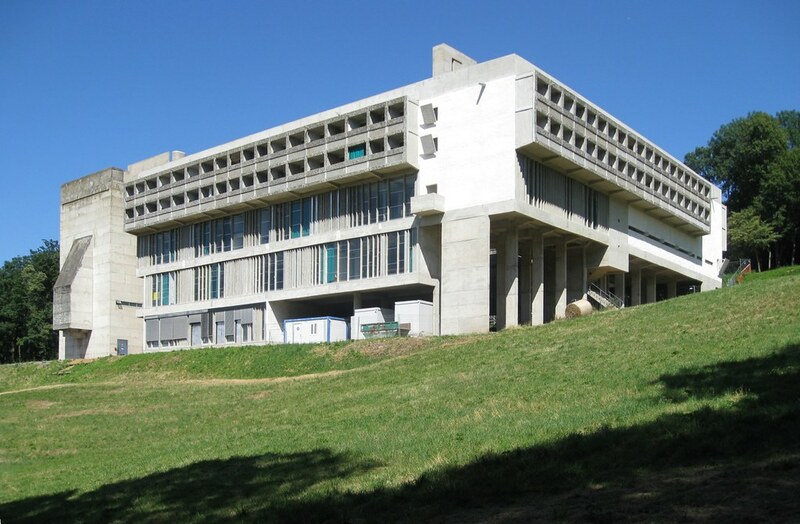 I first visited La Tourette, outside of Lyon, France, 8 years ago and was immediately vitalized by its design: it contrasts harshly to the rural landscapes and, simultaneously, responds to its environment by creating appropriate spaces and windows to enjoy the potential of the verdant setting. While Interpol isn't necessarily even one of our favorite bands, this video really struck a chord aesthetically. This minimalist narrative reminds us to present only what is necessary all while maintaining simplicity, symmetry, and clean lines. We have the Bauhaus school to thank for spearheading the modernist movement, and the visual arts of Josef Albers produced there transcend time. 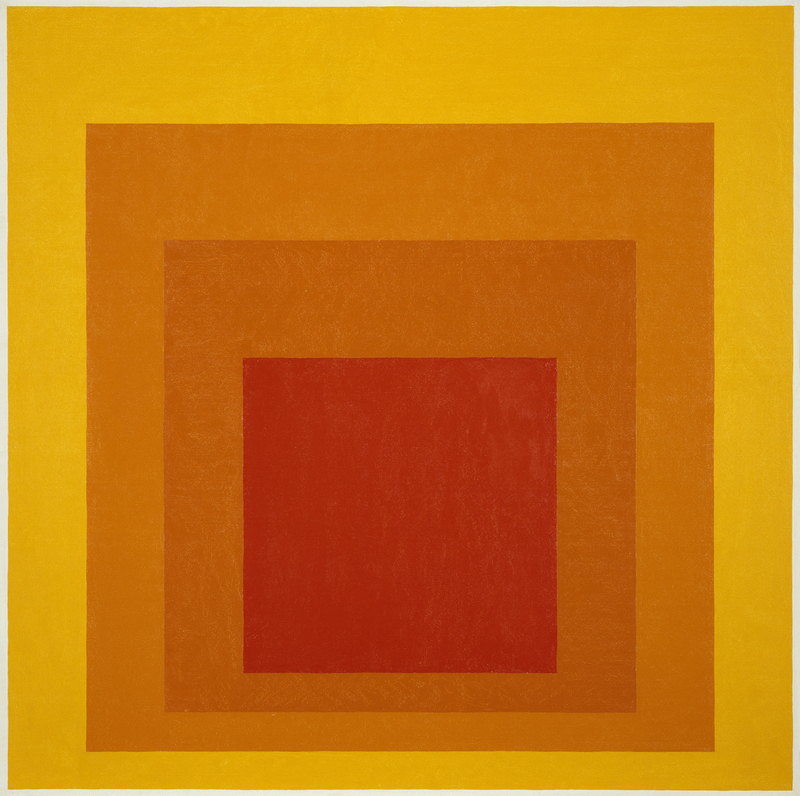 We appreciate Albers's controlled use of color and composition.